It was a rainy weekend. 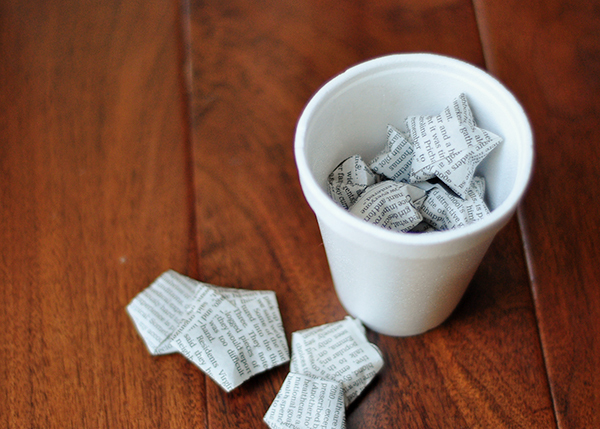 We stayed in and folded stars out of the Sunday newspaper. Avery loves playing with these stars, she likes to gather them into a cup, and take one out at a time, then smash them with her little palms until they are flat. 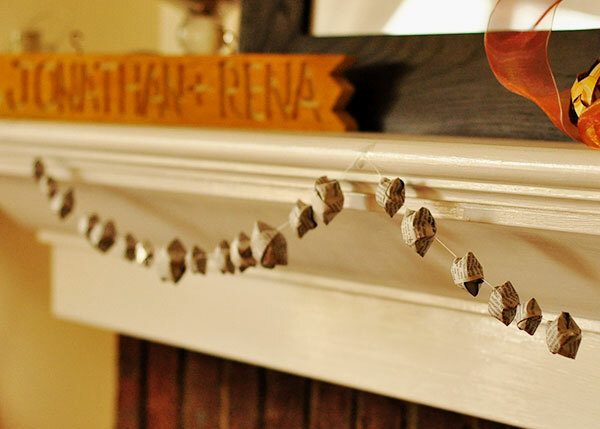 We strung together the stars after she was done playing with them and hung them on our mantel. Star tutorials here: video or text. Video tutorial is easier to follow. I really, really love these stars! I think you've invented a new kind of therapy with these cute little stars!! These are darling! Thank you so much for linking up with me! This is a fabulous craft! What a wonderful idea! Thanks for posting it. this is such a cute idea! 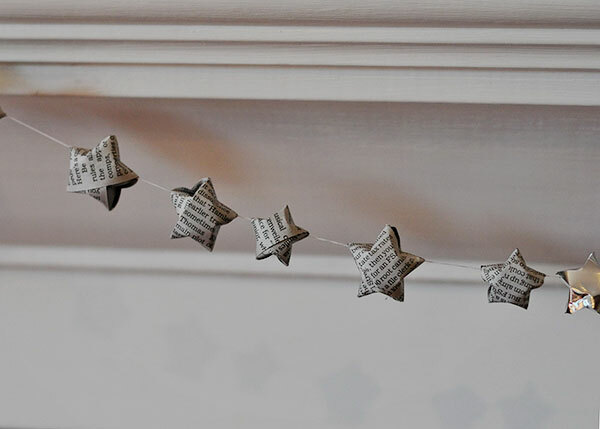 I used to make these stars all the time, but never thought to make a garland out of them. Found you on Pinterest, this is the most interesting ornament I have seen in a long time. LOVED IT! I really thank you for the valuable info on this great subject and look forward to more great posts. Thanks a lot for enjoying this beauty article with me. I hope everyone will be like this. Thank you so much for share. i love u post . Thanks for sharing nice information with us. i like your post and all you share with us is uptodate and quite informative, i would like to bookmark the page so i can come here again to read you, as you have done a wonderful job. I found your blog using msn. This is an extremely well written article as SSC Routine 2019 of Bangladesh Education Board. Every students can Download Their SSC Routine 2019 PDF from official website. Thanks again. What a great post... thank you so much for shear. Very very interesting post. And nice article. thanks for sharing. What a great article. here from i benefited so thanks for sharing the valuable post.